In a world of mass production, not all spoons are created equal. If you’re a salmon and steelhead angler, good luck finding a spoon that is heavy enough to cast with ease and strong enough to handle a hard fighting salmon or steelhead. We at Stone Cold Beads have taken our Egg Drop Spoons to the next level using only the highest quality hooks and swivels for our hardware. These spoons are specifically designed to help prevent fish from shaking free after you set the hook. Every spoon is equipped with one of our signature gemstone beads followed by a Sickle Siwash hook at the bottom and 90lb rated crane swivel at the top. This is a deadly combo, brilliant stone beads with the flash or our hammered spoons. These are the ultimate salmon fishing spoons, but can be used for pike, musky, catfish and more! These are made right here in America, with USA hardware and our natural stone beads. 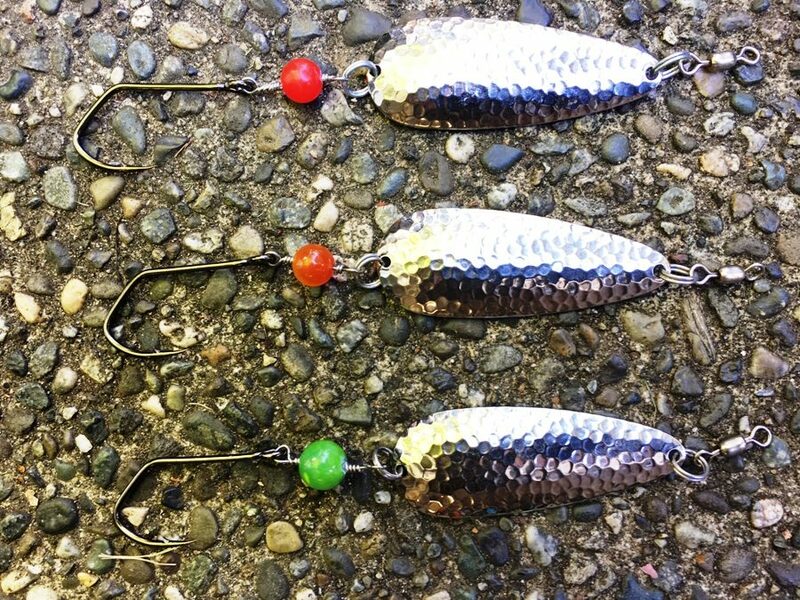 Try our Egg Drop Spoons today and see why SCB Spoons are a must have in every anglers tackle box.